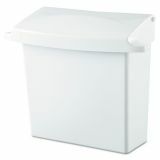 Tight-sealing lid helps contain odors. 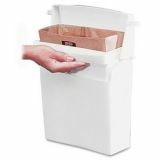 Rubbermaid Commercial Sanitary Napkin Receptacle with Rigid Liner, Rectangular, Plastic, White - Compact receptacle for sanitary napkins is space-efficient and easy to service. 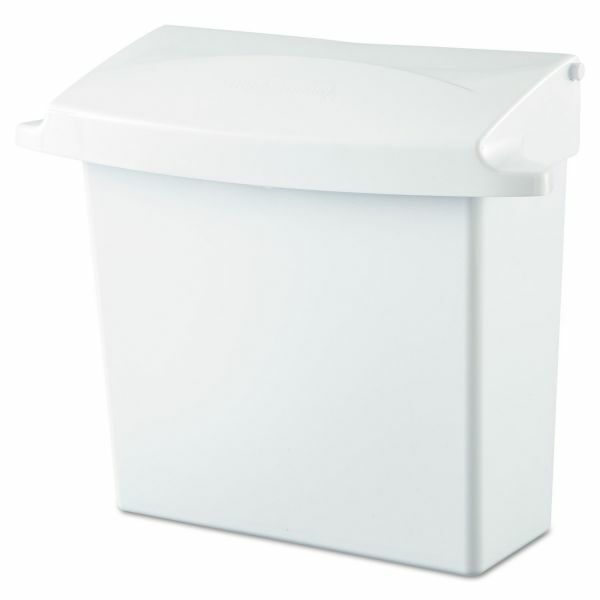 Tight-fitting lid helps control odor. 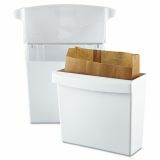 Removable rigid liner provides easy cleaning and maintenance. 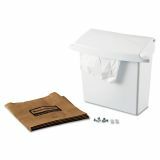 Receptacle includes five waxed bags.